The Castle and Cavalry Grounds are the jewels in the crown of Flemish Farm, which also features 100 stables, grooms’ accommodation, a Martin Collins all-weather exercise track, schooling and stick and ball areas. The stabling at Flemish Farm is available to rent per season by playing members of Guards Polo Club. By renting stables, our players and their grooms have exclusive use of the impressive all-weather exercise track, which often proves invaluable during heavy rain in the spring, along with the schooling and stick and ball areas. In addition to the stabling and exercise facilities, there is also hard standing for horseboxes, plus a good-sized tack room and blanket washing facilities. 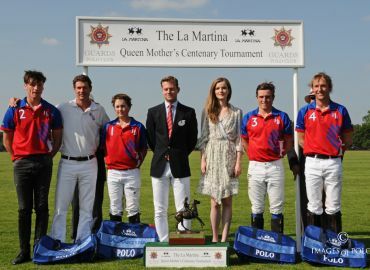 The largest polo club in Europe and home to some of the sport’s most prestigious trophies, including the Cartier Queen’s Cup, Bentley Motors Royal Windsor Cup, Hildon Archie David Cup, La Martina Varsity Day (Oxford v Cambridge), Land Rover Duke of Cornwall Trophy and the HPA’s Royal Salute Coronation Cup. With the private dining experts Mosimann’s managing the Clubhouse Restaurant and Bar, Guards Polo Club is the ideal location to play and to watch this most impressive of games. In addition to the 12 polo fields at Smith’s Lawn and Flemish Farm, Guards Polo Club also manages the two polo grounds at neighbouring Coworth Park. 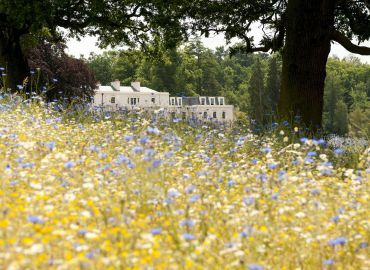 These fields are situated in the grounds of Dorchester Collection’s luxury country house hotel, just five minutes’ drive from Guards Polo Club, and giving the Club access to additional, high-goal grounds. Coworth Park is also the location for the Guards Polo Academy, which offers a range of bespoke tuition packages for experienced players and beginners of the game alike.